Home of the legendary Calgary Stampede and the Calgary Flames, SE Calgary is jam-packed with endless entertainment opportunities, including concerts and sporting events at the world-recognized Saddledome stadium. SE Calgary is intersected by the Bow River and Deerfoot Trail, and many neighbourhoods are within walking distance of the downtown core, making this quadrant easily accessible and highly desirable. For stunning views, you should check out the aptly named Fairview neighbourhood. Shopaholics will love Willow Park’s two major malls, while golfers will appreciate the two golf courses that border Maple Ridge. Harmony between urban life and nature exists in Inglewood, which is within walking distance of downtown, features stylish boutiques, and sits beside the Inglewood Bird Sanctuary & Nature Centre. If your dream home is lakefront real estate, check out Sundance, Midnapore, Auburn Bay, McKenzie Lake, and Lake Bonavista. These communities are known for their beaches, boating, fishing, swimming, and ice sports. Lake Bonavista also has bragging rights as the first community built along a human-made lake in Canada, and the community serves as an oasis from Calgary city life. Real estate in SE Calgary continues to expand with new developments being built in the south. If you are interested in SE Calgary’s latest communities, check out properties in Walden and Legacy. 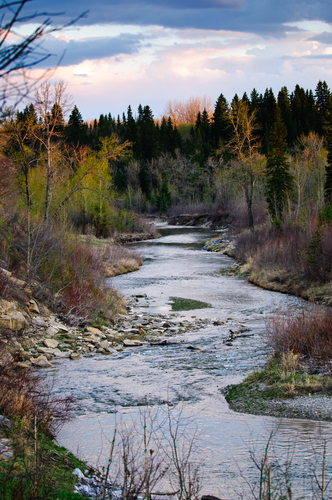 Some of Calgary’s most peaceful areas are found in this quadrant, including Auburn Bay, Cranston, and Chaparral. There’s always something to do in SE Calgary: catch a Calgary Flames game at the Saddledome Stadium, learn about the whiskey outlaws at Fort Calgary, or see wildlife at the Inglewood Bird Sanctuary & Nature Centre. 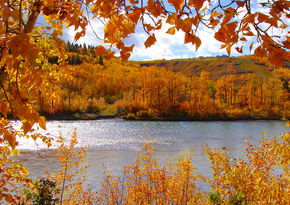 SE Calgary is also home to the Glenbow Museum, the Olympic Plaza, and the Spruce Meadows equestrian centre. Additional family activities in the area include multiple public pools and wading areas, parks, pathways, and recreational facilities. Real estate in Calgary’s SE quadrant also benefits from a high emphasis on culture and the arts, with several art galleries and theatres such as the EPCOR Centre and the 77th Ave branch of the Avenida Art Gallery.